Sounds pretty angry – wrathful. Amos describes in detail the suffering of the economically and legally exploited masses, and the luxury of the wealthy and comfortable few. Meanwhile, declares Amos, the religion of the people of Israel had become “a comfortable ritual divorced from God’s demands for justice.” The practice of their faith was not doing the real work of connection. (Is yours?) Amos was an afflicter of the comfortable. He was an angry prophet speaking for an angry, wrathful God -- or so it seems. A number of us aren’t very comfortable with the Yahweh of the Tanakh – the 39 books that Christians call the Old Testament. We aren’t comfortable with the idea of that wrathful, angry deity. It’s easier to prefer the New Testament Jesus who is mostly love and light and kindness. Some of us like to take the wrath bits only within the context of comedy, as in the movie "Ghostbusters," when the title characters are trying to convince the mayor of the dangers about to be unleashed on the city. Ray: What he means is Old Testament, Mr. Mayor, real wrath of God type stuff. Ray: Fire and brimstone coming down from the skies! Rivers and seas boiling! Venkman: Human sacrifice, dogs and cats living together... mass hysteria! The characters are mixing together the kind of social decay that, as the stories go, causes God’s wrath with the expressions of that wrath itself. And the overall message is that none of that is the kind of thing to take any more seriously than one takes the ghosts and ghostbusters of the movie. As a Unitarian Universalist, a person of liberal faith, a faith that recognizes that love and understanding go together, and that all people warrant understanding, I have to recognize that I have my myths and other people have theirs, and there is no noncircular way of establishing the superiority of either. I also recognize that any story that becomes and stays rooted in a culture over millennia does so because it satisfies some need – some universal need – which means it is a need I, and we, also have and in some form inevitably always will have. I believe that the books of the Tanakh, as well such texts as Gilgamesh, the Bhagavad Gita, or Beowulf, tell us a lot about the cultures in which those texts emerged AND ALSO reveal a lot about me and us – for we, too, like them, are, as Auden says, "composed of eros and of dust, beleaguered by the same negation and despair," seeking some way to "show an affirming flame." These texts (any ancient scripture/legend/myth) are not to be approached the way you would approach testimony in a criminal court trial. They are texts to be approached the way you approach poetry. 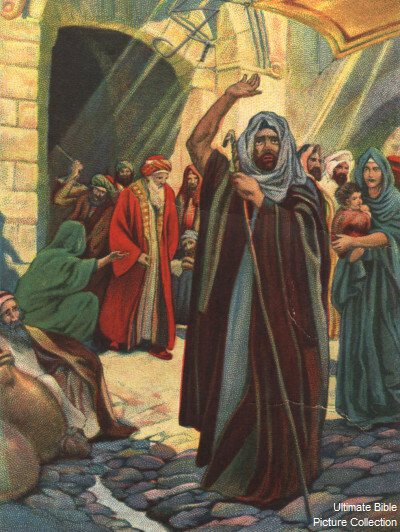 Next: Part 16: "Powerful and True Bad Examples"
Previous: Part 14: "Pastors and Prophets"